So the doctor called. I have been playing phone tag with her for days. She left me a voicemail on Friday saying that she wanted to talk to me about my lab results. When Amanda was diagnosed with diabetes, I asked to be checked. It turns out my levels have gone up. 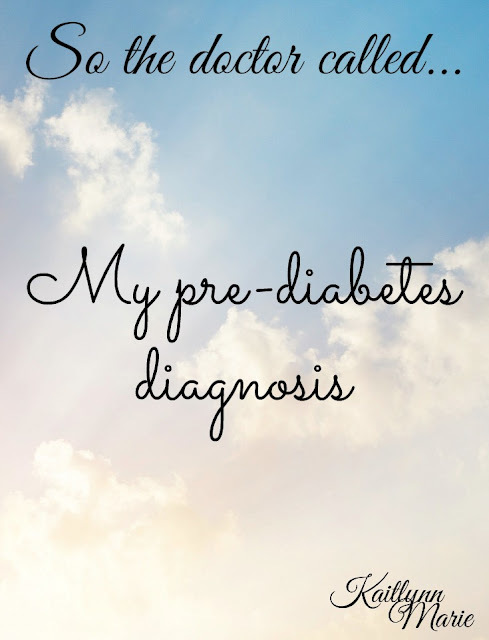 I am officially pre-diabetic. I don't know how to feel about this. I'm worried because this was exactly what I was hoping to avoid. All my life I've been overweight, but relatively healthy. I've never had high blood sugar or A1C levels and I've never had a problem with blood pressure or cholesterol. So where do I go from here? Well, I'm still scheduled to see my bariatric doctor on December 7th. I'm hoping that I can talk to him and we can start planning a course of action. I've been reading up on bariatric surgery and it does tend to eliminate type 2 diabetes. Some say you can never be "cured" of type 2, but I disagree. When you no longer have problems with you blood sugar levels and your A1C is below diabetic range, you're cured. So here's hoping for the best. Wish me luck! Subscribe and follow my socials if you're interested in following along with my journey. Click here to read about the beginning of my journey.